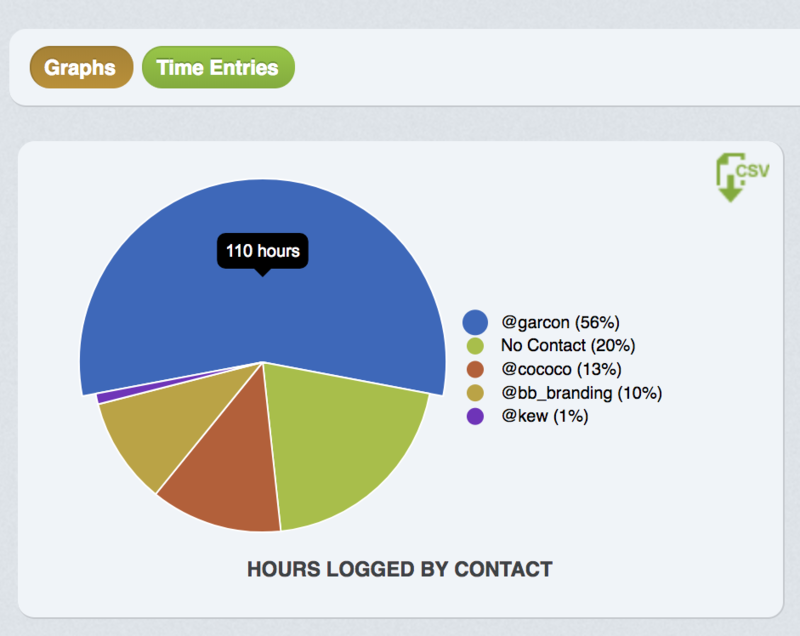 Reports have a similar layout to invoicing to make using MinuteDock simple and easy. There are lots of ways you can run a Report and see your time. The same as invoicing, you can generate a report based on a time period or a filter. Time periods include; today, yesterday, this week, last week, this month, last month, all time and specific time. Filters include; Users, Contacts, Projects, Tasks and options. The options button gives you the choice of seeing both billed and unbilled time as well as invoiced and uninvoiced time. This can be helpful when you need to see a work in progress report. You can also use the ‘specific time’ option to choose your own time frame. You can compare data to monitor your time and work out what you need to work on more or less. You can then head over to our goals section to set yourself some targets. See your time displayed as charts or view them as listed time entries. You can see at the top of the page some useful numbers, it breaks down your report to show total hours, billable hours, unbillable hours and estimated billable total. When you hover over each one it will also show you a comparison of the same time frame from the previous time period. The charts will show you time broken down by hours/minutes and also as a percentage of overall time. You can also view each individual time entry included in the report by clicking the time entries subsection above the charts, here you can edit entries to add or change any details.